Gift of Sight: Providing free cataract surgeries, glasses and full post-op care to all patients. Learn a Skill: Empowering women struggling with poverty and domestic violence through sewing and tailoring courses and the donation of sewing machines. Humanity First Academy: Providing English and Computer skills scholarships to low income students. Gift of Knowledge: Training over 500 teachers from public schools to improve awareness and treatment of issues such as domestic violence, sexual abuse, special needs, learning disabilities, bullying and drug and alcohol abuse. Masroor Ahmad school: Educating 200 students full time from low income families in Alotenango. Disaster Relief: Providing emergency food and water in the incident of natural disaster. Without your support, these projects are not possible. 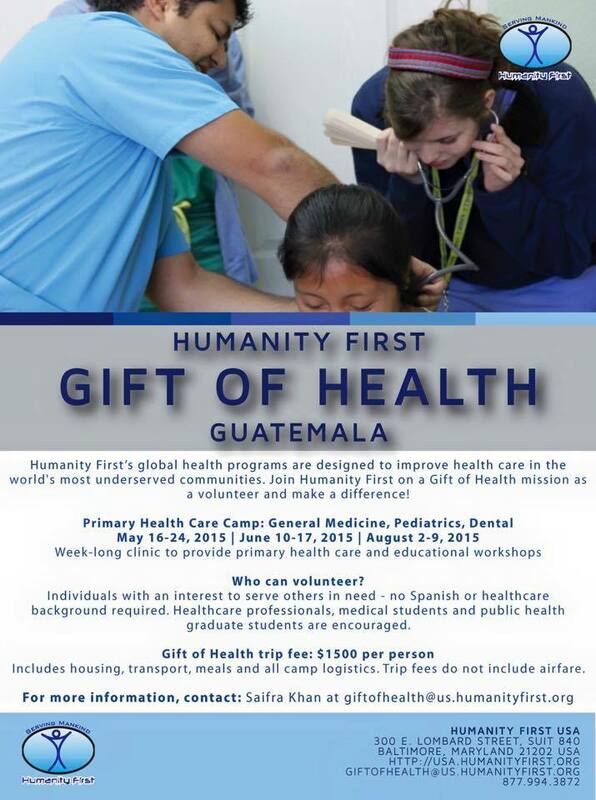 Upon commencing your studies you will be given a personal introduction to Humanity First projects and offered the opportunity to volunteer your time and skills at one of these projects. 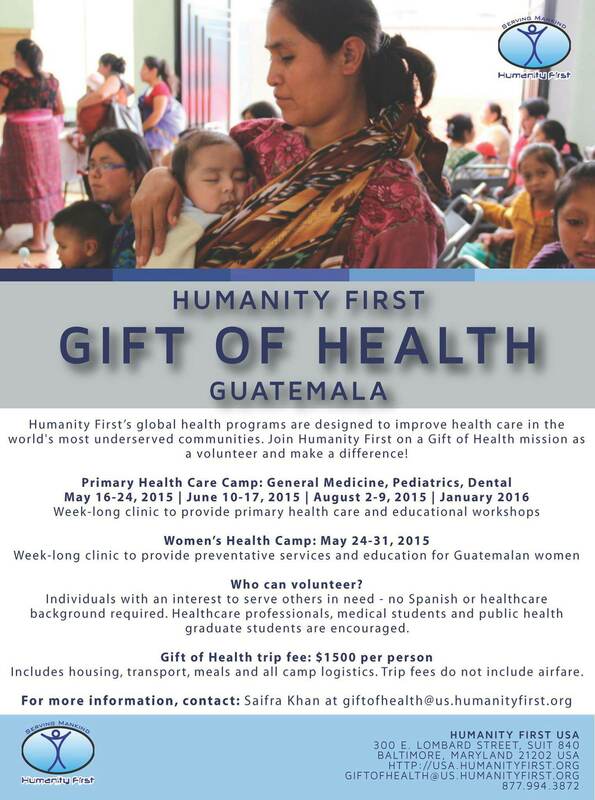 To find out more about Humanity First’s programs click here.